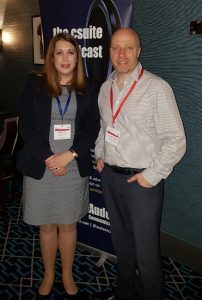 CIPR Members receive 5 CPD points for listening to this podcast on Crisis Communications if they log it at their My CPD. 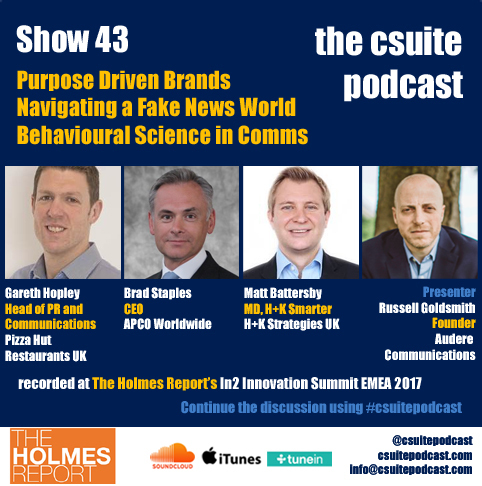 Show 44 was sponsored by Global Communications Training firm WPNT and recorded at PR Week’s Crisis Communications Conference in London. Some of what was discussed in this podcast was extremely sensitive, given we didn’t just talk about protecting corporate reputation, but in certain instances, we referenced events that had involved the loss of human life. We therefore hope anyone who listens feels that it was handled appropriately. As you can expect, everyone who was interviewed along with our presenter said the same in that our hearts go out to all the families and friends of all those victims of all the incidents discussed. Russell Goldsmith’s first guest was Katie Perkin, Head of Corporate Communications at Sussex Police, and they spoke about Police communications during crisis events that prove to be very challenging from a comms perspective, given how fast moving situations can become. Sadly, the interview took place just after we had witnessed events of that very nature, but Katie felt the Police had done a fantastic job responding and dealing quickly and effectively with them. She explained that Police communicators are well practised and have detailed plans for dealing with situations like these. One of the things the Police has made sure they have been very quick to do is the instant response online to such events. Passers-by and possibly those involved often post photos and videos online immediately and it is important and critical that the public know that the Police are there and aware of the event and are seen to be dealing with it. Katie explained that this is a very difficult issue to manage as this also may be the first time a victim’s family or loved one is made aware that they have been hurt or killed. The film the public take could also be important to the Police and so while they cannot tell people what to do with it, Katie wanted to remind people to consider the thoughts and feelings of those involved. Katie acknowledges that it is now a different time with citizen journalism, where the social norm seems to be to get your phone out and film an event. This footage may be useful but it can be damaging. For example if it is an ongoing terrorist incident, and people are posting in real time, then they may be unwittingly helping the terrorists know what the Police are doing. The media are aware of what they need to do in such a situation in terms of live broadcast, but Katie doesn’t necessarily think the public are and so it may be something that [the Police] need to better explain to them. Katie said that she is in awe of Police officers putting themselves in danger to protect people and they deserve the public admiration. However, with situations such as those in Manchester and London, people will start to ask questions [such as in certain instances, why suspects may have been known to the Police] but the key is not to pre judge. The Police are very good at looking back at where things have happened and doing thorough reviews. However, she said that the Police Service is completely committed to being open and transparent and looking at any learning from such events and applying that in the future. Katie explained that the Police is well versed in exercising for incidents such as those we have seen recently, practicing the operational as well as communications response. Within her own department, Katie ensures she has a detailed plan for different crises that may occur and these are exercised, for example, through a table top exercise where members of the team take on different roles. They also have a pivot model, which is put into place in a major incident, and outlines all the different roles and responsibilities that are needed to be covered, and is very clear on all the areas that need to be picked up on so that there are no gaps. She said that all organisations need to prepare in case of a crisis and one of the basic elements of that is to be able to get hold of your people, particularly out of working hours. Do you have all their details and at the push of a button can you contact everyone and let them know you need them in the office? It’s vital that this is in place. Russell and Katie also talked about the media fixation with the number of fatalities when an incident occurs, but she said this is simply down to human interest as they want to know how big an incident it is. If people [in crisis communications] are dealing with an incident with a number of fatalities they need to be prepared for this. She also said that you would need to work closely with your local coroner’s office in situations like that. Changing the mood on the conversation, Katie also spoke about more proactive work that her team deals with and talked about a campaign that they ran over Valentine’s Day, called ‘Long Lost Loves’. Katie feels the Police service has become very good at engaging with people on social media and so they used Valentine’s Day as a hook to support operational policing efforts to track down some ‘Wanted’ people. They sent those individuals Valentine’s messages online through Facebook, Twitter and Instagram and then asked the public to help track them down. People loved the fact the Police were using humour but at the same time were trying to achieve a serious objective. She therefore said it is important that the way the Police use social media is appropriate, they can’t just put appeals on without giving something back and that the public needs to see the humanity that is within the Police service. Be prepared and planned. Practise this plan. Quick initial response. Get something onto social media to let the public know you are dealing with it. Look after your people. Unless you tell them to stop, in a crisis they will keep going and work themselves into the ground. Please note, this particular interview was recorded before the awful events at Glenfell Tower. In the second interview of the show, Russell spoke with Nick Foley – Head of Communications for the National Trust. Nick talked through a case study on how the National Trust faced scrutiny after a devastating fire tore through the 18th Century mansion, Clandon Park, in April 2015. This was a huge reputational challenge as the Trust exists to protect around 500 properties and places like this on behalf of the Nation forever, and so the fire struck at the heart of what they are there to do. Nick told of the events of the fire, that broke out late afternoon and quickly spread from the basement to the roof and by the evening it was a blaze. This was all played out in front of media and onlookers. It was therefore important that the National Trust owned the story and so wanted to ensure people came to their owned channels for information and updates, rather than relying on third parties. They therefore focussed on using the power and reach of their own Trust members and supporters – they have over 4.5million members. Nick can call on a team of around 10 people at headquarters to manage a situation like this, plus three regional communications officers. However, they also tapped into the expertise of the people on the ground, i.e. those leading salvage operation or who had rescued things from the fire. They were all crucial in helping the Trust tell the story. Since the drama of the fire, the National Trust has wanted to take people on the journey with them, keeping those interested updated throughout the process. The first phase was the salvage operation, which takes 6 – 7 months, seeing what can be saved and restored. Next came the fire report, investigating what or who was to blame for the fire – it turns out it was due to a manufacturing fault in the fuse board. Although, the report did also point out areas the Trust could have done better and as they were open about it, told their members how they were addressing these concerns. The National Trust then announced its vision for the house. The ground floor was to be restored, as it had to some extent survived intact. However, as the first and second floor had been destroyed, they wanted to make this a more innovative and fresh modern community space that and so launched their plans in front of a large media audience in the original marble hall of the house in January 2016. Nick said it was important to get the journalists back to the house to see for themselves that much more had survived than anyone could have possibly hoped for when the fire first took hold. Be true to your values. It would have been easy, once the fire was over, to not say much. However, as a membership organisation, the National Trust wanted to be honest with the members, staying true to their principals to be open, honest and transparent, so as to ensure support from its members. A camera was set up opposite the site, so people could see what was happening live. They were also honest about their safety record and the processes involved, about the scale of devastation of the fire and how long the process would take. But they also knew that nothing beats actually seeing the situation and so they decided to open the gardens to the public only a few weeks after the fire, which resulted in about 3,500 turning up over a number of weekends to see what was happening. Spotting the opportunity within the bad news. No one was injured in the fire as everyone was evacuated safely. Not all was lost, in fact, around 400 items were saved from the collection due to a well-rehearsed salvage operation. There were also opportunities in terms of the public’s response – the Trust received many messages of support and sympathy as well as financial offers and volunteering offers of physical help, not just from the UK but from around the world. Own the story. The National Trust has 1.5 million followers on its social media channels alone and Nick explained if they could get to them directly, it would go a long way to get their buy and in support for what they were doing, but to drive people to those channels you need great content. They therefore set themselves up like a news room, sending ex-journalists who were in the team to talk to key players and experts, in-house photographers and videographers to the site to capture the key moments. They also asked their own experts to write first person pieces on what they were doing, the salvage operation, what items had been saved and how they were caring for them. As the Trust had control of the house, the salvage operation and the salvaged items, it meant they were able to drip feed the content through their own channels and could then pass it on to media, which helped shaped the story they wanted to tell. Act decisively. Nick said that the Trust committed to restoration early on, which stopped rumours of the house being knocked down. Meetings were held with about 200 different groups to consult very widely of restoration plans. All the way through, they filled the void and told people what was going on. Finally, in terms of measurement, Nick said that 97% of the media coverage in the first year was neutral or positive, with two thirds of that coverage showing that the Trust was a caring brand. The social engagement was also very strong and wide reaching, with Facebook posts reaching over one million people and web articles reaching nearly 150,000 unique users. Plus £100,000 was raised via the Clandon appeal and the open garden days were sold out. Nick added though that it is not just about the statistics, but also about how they reenergised and engaged with their communities. Therefore how something that felt terrible at the time turned into something quite positive and has inspired people to get involved and look into the rebirth of Clandon, over the next few years. 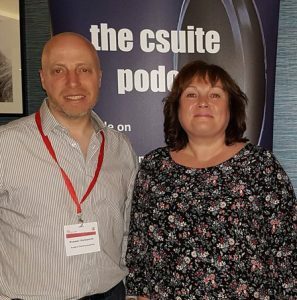 In the third interview, Russell spoke with Neil Chapman, Partner of Global Communications Training firm WPNT, who kindly sponsored the show. Neil was actually a previous guest of the podcast when we last discussed Crisis Communications, in Show 20, and so we started by asking him which organisations he felt had their crisis communication right and who had got it badly wrong over the last 12 months? However, he didn’t want to give specific examples without knowing from the inside what’s happening. He said he always has empathy with the responders, and whilst we see the headlines and social media chat, which generally are going to be critical, he knows that they would be facing pressures and challenges. He therefore has sympathy for the responders in an organisation and seeing how they are handling the crisis communications. According to Neil, in training, to gain long term success, it is not just about communicating effectively with the media, but also the right stakeholders. WPNT specialise in the training on how to prepare to respond in a crisis and Neil explained that they like to break things down to different skills – it’s not just interviewing well, it is also stakeholders planning, organisational planning, managing press conferences, managing volumes of call, and structuring statements that the company is producing. The other aspect is how social media plays out in a crisis. WPNT have a proprietary closed system called ‘Storm’ that allows participants to take decisions, which they then see reflected in the system, which replicates real time social media, as well as the interaction between media and social media and other stakeholders. Neil’s experienced team then react to the decisions to show how this may play out in the public. 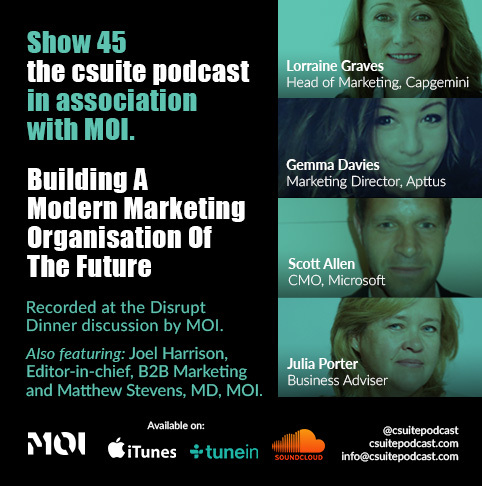 Neil said that if the participants are not big social media users, they don’t realise how fast the reaction could be or the interaction between the stakeholders they are trying to reach, i.e., customers, employees, investors and the mainstream media. Therefore, Neil’s key message in terms of crisis communications training is that any organisation should understand what an effective response looks like to them, so that the team can then practise a specific set of skills to be effective and work towards it. For example, how do you lead a team while under stress with a seemingly fast ticking clock over you? These are skills that are useful every day but essential in a crisis. The discussion started with how the company coped with the event of 26th June 2015 after thirty-eight people lost their lives when a gunman opened fire on tourists staying in the popular resort of Port El Kantaoui, just north of Sousse in Tunisia, thirty of whom were British citizens travelling with Thomson. Fiona said that the situation was obviously overwhelming, which is why it is important to have a crisis plan in place, which has been practised and scenario planned against. As a large travel company that takes 5.5m people away [each year], Thomson has a lot of detailed plans and scenario crisis exercise four times a year and so are fairly well prepared. However, she added that any crisis is unpredictable and so a plan needs to be flexible and agile. Fiona explained that in the first few hours after an event, it is about understanding and verifying the facts that you can. You need to ensure what you are communicating is accurate and that it is carried out as speedily as possible, which she said can be challenging. In a crisis over seas of the size of the one in Tunisia, Fiona said that it’s necessary to communicate with a number of different organisations, including The Foreign & Commonwealth Office, Red Cross, Met Police, Counter Terrorism Police and the Emergency Services on the ground. Another challenge TUI had to face in this instance was not just the returning home of customers who were holidaying in Tunisia, but they also had to manage the 70,000 thousand people that were booked to go out to the same country that summer. Fiona explained that the business needed a huge amount of time to reallocate flights and find hotel rooms for these customers. Very few people cancelled their holiday and instead rebooked somewhere else, so it was an enormous job to help everyone. Work with the media and gain their help – Fiona told of an example where they used the media to get the appropriate numbers out to help prioritise the huge volume of calls (over 30,000) that they received from holidaymakers. Following the many recent terrorist attacks including, Paris, Nice, London, Manchester, Fiona thinks all businesses, not just the travel industry, will need to plan and train their staff to deal with this kind of crisis. She felt that, sadly, businesses will need to be aware how this type of attack could affect them and so unfortunately they will need to be prepared and train staff. Fiona’s final message was to communicate with honesty and transparency and as one voice, but also to look after yourselves and your teams because you really need to work together in very stressful times. This episode of the csuitepodcast was sponsored by Global Communications Training firm WPNT. 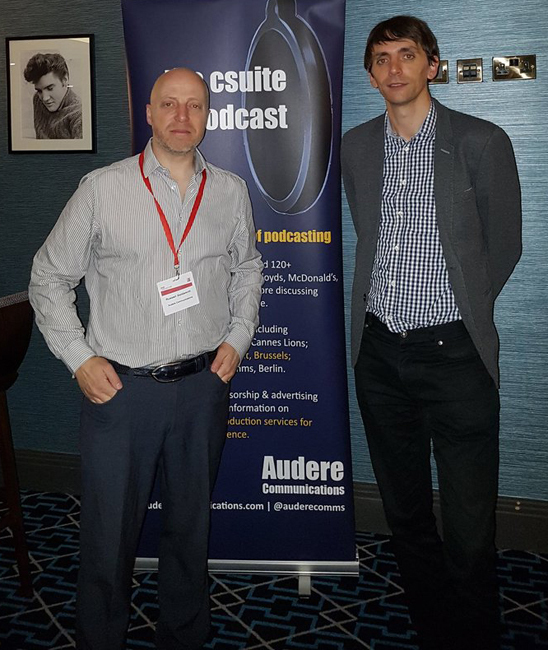 All previous shows of the csuitepodcast series are available on the website, Soundcloud, itunes and TuneIn. There is also a growing community on Facebook and Twitter, where you can get involved in the discussion. Finally, if you subscribe to the show, please can you give it a positive rating and review on itunes in particular as this helps it up the charts!